Masters Summit in Europe! » The Qlik Board! 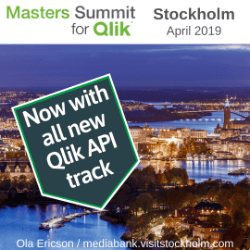 The Masters Summit for QlikView will be coming to Europe this Fall. Next Entry: Highlighting Redux – Alternate States to the Rescue! Next Entry Highlighting Redux – Alternate States to the Rescue!